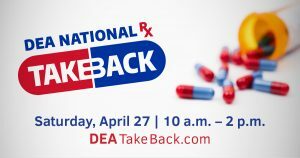 This is a safe convenient, and responsible way to dispose of unused or expired prescription drugs. 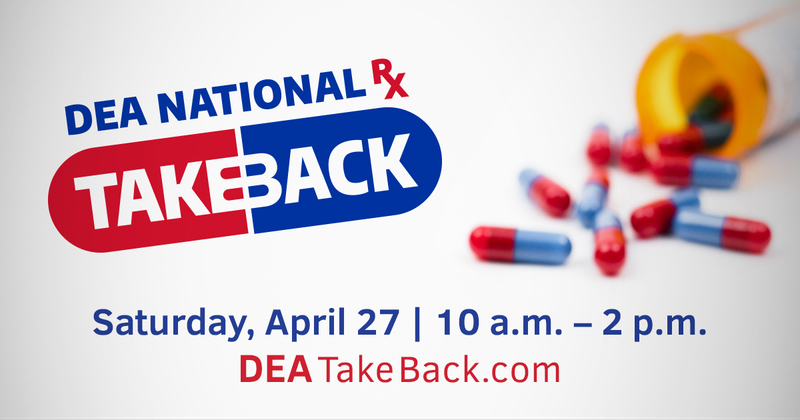 The last National Take-Back Day brought in more than 900,000 pounds of unused or expired prescription medication across the nation. 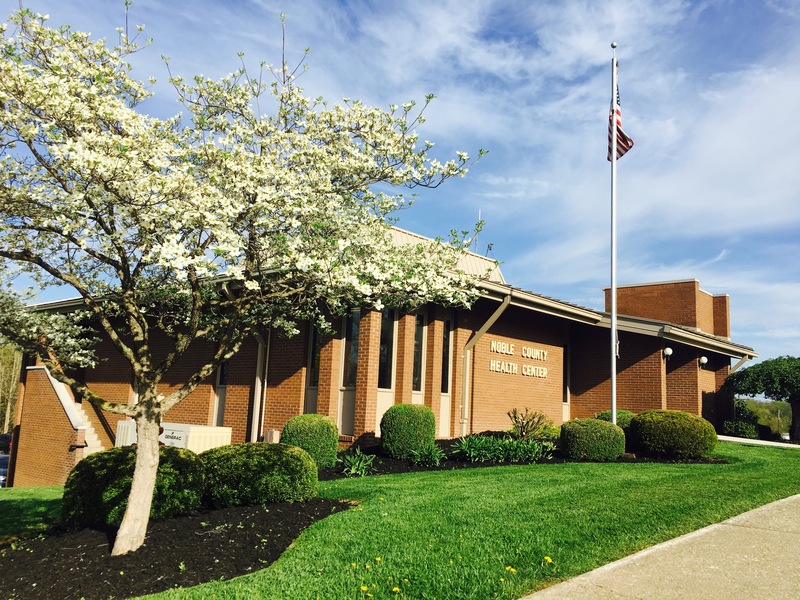 Thursday May 2, 2019 from 6:00-8:00 p.m. at the Noble County Community Center. For pregnant mothers or mothers with child to 6 months of age. This is a free event offering parents an opportunity to learn from local vendors about the services available in our area and gain knowledge about growth, development and child health. Includes: Giveaways, Door Prizes, Refreshments and more. Know where to expect ticks. Ticks live in grassy, brushy, or wooded areas, or even on animals. Treat clothing and gear with products containing 0.5% permethrin. Alternatively, you can buy permethrin- treated clothing and gear. Use Environmental Protection Agency (EPA)-registered insect repellents. Always follow product instructions. Do not use insect repellent on babies younger than 2 months old. Do not use products containing OLE or PMD on children under 3 years old. Check your clothing for ticks. Tumble dry clothes in a dryer on high heat for 10 minutes to kill ticks on clothing after you come indoors. If the clothes require washing, hot water is recommended. Cold and medium temperature water will not kill ticks. Examine gear and pets. Ticks can ride into the home on clothing and pets, then attach to a person later. Shower soon after being outdoors. Showering within two hours of coming indoors has been shown to reduce your risk of getting Lyme disease and may be effective in reducing the risk of other tickborne diseases. Check your body for ticks after being outdoors. Conduct a full body check. Use a hand-held or full-length mirror to view all parts of your body. Measles is a very contagious disease caused by a virus. It spreads through the air when an infected person coughs or sneezes. Measles starts with fever. Soon after, it causes a cough, runny nose, and red eyes. Then a rash of tiny, red spots breaks out. It starts at the head and spreads to the rest of the body. Cases are being reported to the Center for Disease Control (CDC) from California, Colorado, Connecticut, Illinois, New Jersey, New York, Texas and Washington. Before the measles vaccination program started in 1963, an estimated 3 to 4 million people got measles each year in the United States. Of these, approximately 500,000 cases were reported each year to CDC; of these, 400 to 500 died, 48,000 were hospitalized, and 1,000 developed encephalitis (brain swelling) from measles. Since then, widespread use of measles vaccine has led to a greater than 99% reduction in measles cases compared with the pre-vaccine era. However, measles is still common in other countries. Unvaccinated people continue to get measles while abroad and bring the disease into the United States and spread it to others. Visit the CDC's website for more information on Measles Cases in 2019. And talk with your teens - about E-cigarettes. Attention - families enrolled in our Help Me Grow, Early Head Start and Early Intervention programs. Come Join us for Playgroup. The next Playgroup will be held May 15th from 10 to noon, location to be determined. The women arrive, like clockwork, and enter the spacious and advanced mobile mammography unit parked outside the Noble County Health Department. The James Mobile Mammography unit of The Ohio State University – James Cancer Hospital has been screening women for breast cancer since 1988. 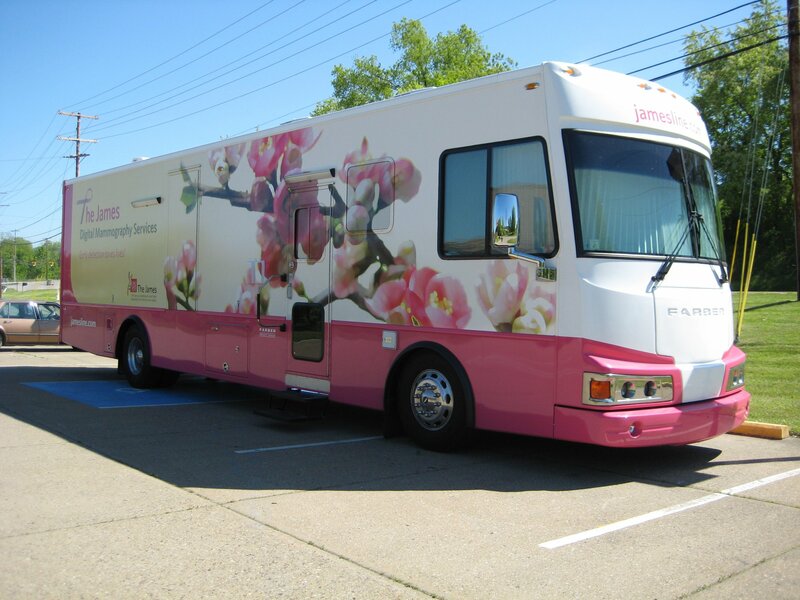 The unit crisscrosses Ohio, parking and setting up its mobile breast cancer screening practice at companies, county health offices, at festivals and many other places and events. The unit offers the latest digital mammography technology and is accredited by the American College of Radiology as a Breast Imaging Center of Excellence. About 10 percent of the women screened come back for a follow up, such as an ultrasound or biopsy or a surgical consultation. The Mobile Unit will be at the Noble County Health Department on Wednesday, May 1st from 9:30 to 3:30.